A pioneer in the application of new technologies to teaching and research, Steven Mintz is the author and editor of 14 books and a leading authority on families and the life course. As founding director of The University of Texas System's Institute for Transformational Learning, he was responsible for making education more affordable, accessible, and successful. A former fellow at Stanford's Center for Advanced Study in the Behavioral Sciences, he previously directed Columbia University's Graduate School of Arts & Sciences Teaching Center. 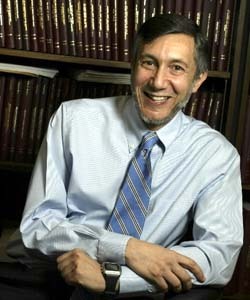 Past president of the Society for the History of Children and Youth and H-Net: Humanities and Social Sciences Online and former chair of the Council on Contemporary Families, he created the Digital History website, chaired the Bancroft and Frederick Douglass book prize juries, and received more than $15 million to support educational innovation. Adulthood today is undergoing profound transformations. Men and women wait until their thirties to marry, have children, and establish full-time careers, occupying a prolonged period in which they are no longer adolescents but still lack the traditional emblems of adult identity. People at midlife struggle to sustain relationships with friends and partners, find fulfilling careers, raise their children successfully, and resist the aging process. The Prime of Life puts today�s challenges into new perspective by exploring how past generations navigated the passage to maturity, achieved intimacy and connection, raised children, sought meaning in work, and responded to loss. Coming of age has never been easy or predictable, and the process has always been shaped by gender and class. But whereas adulthood once meant culturally-prescribed roles and relationships, the social and economic convulsions of the last sixty years have transformed it fundamentally, tearing up these shared scripts and leaving adults to fashion meaning and coherence in an increasingly individualistic culture. This book reconstructs the emotional interior of a life stage too often relegated to self-help books and domestic melodramas. Emphasizing adulthood�s joys and fulfillments as well as its frustrations and regrets, it shows how cultural and historical circumstances have consistently reshaped what it means to be a grown up in contemporary society. The Prime of Life urges us to confront adulthood�s realities with candor and determination and to value and embrace the responsibility, sensible judgment, wisdom, and compassionate understanding it can bring. My electronic endeavors reflect 6 basic commitments. Multicultural and cross-disciplinary perspectives on the histories & peoples of the Americas. Researchers and clinicians dedicated to elevating the national conversation on America's diverse families. An international consortium of scholars who use new technologies to enhance teaching and research. A scholarly discussion list on slavery, the slave trade, abolition, and emancipation. The Project for the Active Teaching of History offers teacher seminars, lectures, and workshops. "A 'Golden Age' of Childhood?" "How We All Became Jewish Mothers"
H-Net sponsors over 150 scholarly discussion lists, reaching 160,000 subscribers in more than 90 countries, and publishes the largest number of scholarly book reviews in the humanities. Leading social scientists and practitioners who bring the latest research and clinical expertise on families and children to the public, the media, and policy makers. Winner of the University Continuing Education Association Region South Outstanding Educator Award. Region South encompasses all member institutions in the Southern Association region, including member institutions in Mexico and the Caribbean. To create online history portfolios and inquiry-based, interactive modules designed to give students the opportunity to do history. "The Constitution: A Living History" will focus on the origins, framing, ratification, and interpretation of the U.S. Constitution and the Bill of Rights during six eras of American history. a new $200,000 NEH Teaching and Learning Resources and Curriculum Development Grant to support an online project entitled "My History: Students and Teachers as Historians"
2005 Merle Curti Award of the Organization of American Historians for the best book in American social history. 2005 R.R. Hawkins Award of the Association of American Publishers for the best scholarly book. 2005 Carr P. Collins Award of the Texas Institute of Letters for the best non-fiction book published in the preceding year. A "fascinating and massively documented exploration of four centuries of American childhood...A work of scholarly integrity and humanist zeal." "This is a rich and stimulating book, revealing how much childhood has changed over the centuries and how much some things never change." "An engaging, sober and often poignant account of how adults have viewed and treated children...The compelling history of childhood Mintz offers us is a valuable reminder that nostalgia for a golden age that never existed is not just misleading but counterproductive." "Steven Mintz has written one of the very best books I've read in the last decade, a highly original masterpiece which combines immense breadth with the often painful and complex specificity of 'growing up in America.'" Huck's Raft, the first comprehensive history of American childhood, places children at the center of the events that shaped our past. Colonization, the American Revolution, slavery, the Civil War, westward migration, the Industrial Revolution, foreign immigration, the Great Depression, two world wars, and the Civil Rights movement take on fresh meaning when viewed through the voices and experiences of children. No previous scholarly volume has examined the diverse facets of children's lives across the entire expanse of American history. Here, readers can discover how childrearing, children's health, schooling, play, toys, and literature changed over time. Children's experiences in orphanages, reform schools, and factories, fields, and mines come to life in the book's pages. Huck's Raft is distinctive in its sustained discussion of the diversity of children's experience by class, gender, race, and region; its analysis of the shifting pathways to adulthood; and its emphasis on children's agency. Huck's Raft demonstrates that throughout American history children have been active agents who have served as a cultural avant- garde that has repeatedly transformed American values. Drawing on a wealth of letters, diaries, and other first-hand accounts, Huck's Raft provides essential historical perspective on topics that have absorbed public attention: Whether children's well-being is declining; whether television and consumer culture have stunted children's imagination; and whether children are growing up faster than in the past. The volume corrects nostalgia-laden images of childhood past, and lays bare the ways that American childhood has changed, for better and worse, over the past four centuries.